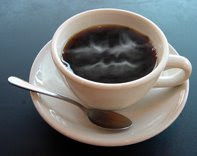 The Coffee Curmudgeon: Music: Blessing or Downfall? I will start this post off by saying that I don't know if anyone else experiences their music the way I do. I have always had a soundtrack to my life-- I remember specific points in my past by cross-referencing what I was listening to at the time. If I was listening to Ozma and Weezer's Pinkerton, I was getting over my first girlfriend. If I was listening to Clap Your Hands Say Yeah, I was hanging out with the girl in my second post's boyfriend many summers ago. If I was listening to Copeland, I was desperately in love with that same girl, who would break my heart more than I ever thought possible. So tonight, I sat down and remembered listening to Copeland, and put on their last two albums on iTunes. The emotions came flooding back. I really have no idea how to quantify the level of infatuation and devastation that began to envelope me once again, despite this occurring over 6 months ago. I kept telling myself: you are past that point in your life. You have a girlfriend that you love, who loves you in turn. This past was a dark place. And yet here I am reminiscing. At least now I know that if anyone's out to get me, it's really me. ditto for Ozma and Weezer getting over my first boyfriend! wah-wah.